Police in Sacramento, California, had help from a wanted woman on Wednesday morning who handcuffed herself and called police for help. Cana Greer, 29, called the Sacramento Police Department for help after she and a friend, who used to be a security guard, were messing around with an old pair of handcuffs. Greer accidentally handcuffed herself and discovered that there was no key to unlock the cuffs. Responding officers conducted a records check before arriving to help Greer, and found that she had a felony burglary warrant out of El Dorado County. "When officers arrived, they thanked the woman for arresting herself and transported her to a nearby fire station to have the old cuffs removed," the police department said. 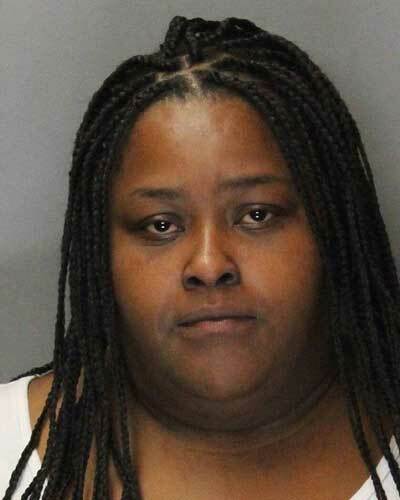 Greer was taken to the Sacramento County Jail and booked on her outstanding warrant.